Some of it is just the residue of the passage of time – anglers learn they can trust and rely upon you, which means they’ll return your calls more quickly and open up just a little bit more than they might to someone they don’t know. That’s also bolstered by writing for more prestigious or more widely circulated publications. Do they reliably return calls? If they don’t, or they only call when they need something from you, they better have an amazing gift for explaining novel information, and lots of near-term success. Otherwise, if you’re a busy person the juice is rarely worth the squeeze. Do your editors and readers want to hear what they have to say? Even some of the most successful anglers of all time are terrible interviews. They may have tremendous skills on the water, but they give canned answers and don’t have anything new to offer. Their name recognition is valuable, but their use as sources often is not. On the other hand, even if they’re great orators with lots to say, you might not be able to place them where you want. For instance, if the pro in question fishes BPT or the Elite Series, and you’re writing for FLW, good luck getting approval to include them in your next article. Are they going to stick around for a while? If you cultivate an angler as a source, to the exclusion of some others (after all, you can only publish so many articles), and next year he retires, or goes back to his job as a CPA, or switches tours, you’ve suffered an opportunity cost. You need to bet on not only what they’ve done before, but the doors they’re going to offer up to you going forward. Are they going to be successful? This is a corollary to that last question and it may be the hardest one to gauge. 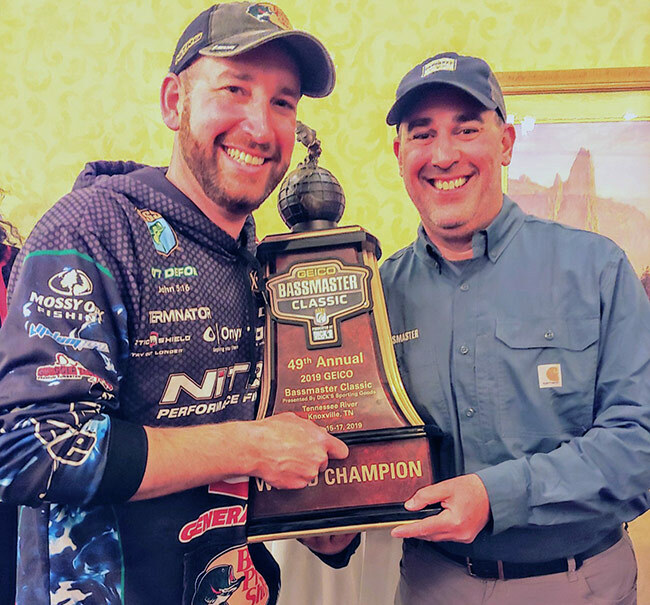 If you can develop a strong working relationship with a particular angler (the type who is likely to win an AOY title or a championship) and become their first outlet for information while their career is still in its infancy, you’ve hit the jackpot. Once they rise through the ranks, you’re going to have to share them a bit more, but by getting in on the ground floor you’ve put yourself in position to get some plum information and some great assignments. Over the decade-plus I’ve been doing this I’ve gone down some paths that led nowhere, and I’ve declined opportunities that would’ve been huge. I have just about everybody’s phone number, but that doesn’t mean I have consistent access. Nevertheless, sometimes through my own determination and other times through sheer luck I’ve ended up with some great contacts. In 2014, my friend JD Blackburn came to me to ask if I’d help Ott DeFoe with some projects going forward. It was a gift I could not refuse, because it was clear that Ott (who was not yet 30) was going to have a long career and the odds were strong that at some point he’d win a championship or three. I know that my contributions played no role in his eventual Classic win, but it’s thrilling to know that someone of that caliber saw enough promise in my work that they wanted to include me as one cog in the machine. Like all anglers and all writers, I’m constantly looking for the next great thing. In addition to Ott, I’ve culled up my livewell of prime sources to a select few anglers who will play a role in getting my career to the next level. At the same time, during this period of massive change in the fishing industry, I have my eyes on a few more I’d like to add to the list. If you’re honest with yourself, you know that there’s only a minuscule chance that you’ll ever become close friends with any of them. If that’s what you’re looking for, you’re going about the gig all wrong. Nevertheless, it’s possible to reach a stage of mutual trust, respect and (on occasion) social interaction. You’ll be surprised at how often those social interactions (especially the ones on the water) will lead to additional work success. Furthermore, don’t ever forget that you are providing them with a service, and you have the opportunity to be a “tipping point” in their careers. One of the valuable things I’ve learned from studying the career of the late Tim Tucker is that he had an eye for cultivating young talent, grooming aspiring stars to take advantage of that success when it happened. Those young stars of yesteryear are many of today’s veterans. Looking at it from that perspective makes the networking factor seem all that much more important.